You won't believe what we're doing! The children folded paper into differently-shaped columns & experimented to see which one would hold more weight (rectangular prism, triangular, cylindrical or prism). Using one sheet of paper and 2 tiny pieces of tape, the children got the cylindrical column to support 9 books! The children created three-legged bots by attaching markers to cups. Then, they experimented with various materials to make a propeller. Next, the children decided how to attach the propeller to the motor so the bot would walk, spin, jump, dance and draw. The children built catapults that could throw little candy pumpkins. Later, their families came to school to build catapults that could throw big pumpkins. We called it "Chunk'n Punkins" and had a lot of fun! We work on real coding with all children from 2nd through 8th grades. In this picture, the fourth graders were playing a relay game in which they wrote one line of graph code at a time, then debugged the mistakes their teammates made. Tech teaches kids to solve problems. Watch as some Kindergarten children figure out how to close a circuit to make a light go on. 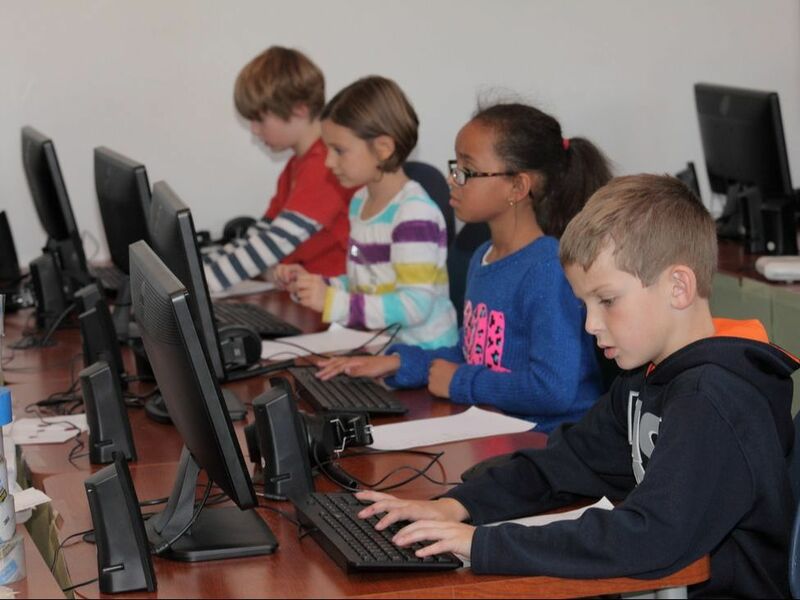 Watch how students in various grades are learning about coding and other fun STEM activities. We have a modern maker space where kids explore & create. Universities across the country are incorporating "maker spaces" into their tech buildings. Students use the space to make assigned projects or follow their inspiration. 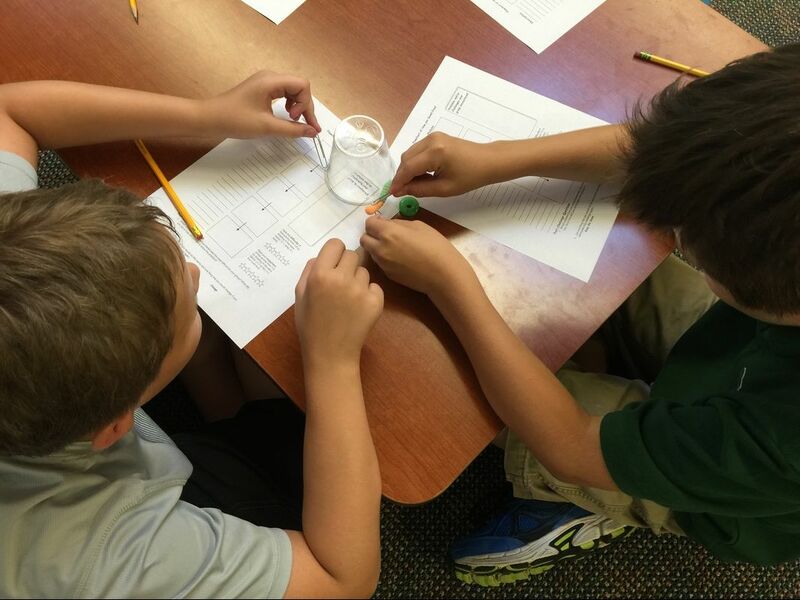 These 4th graders were using Strawbees. At first, they were playing and experimenting. 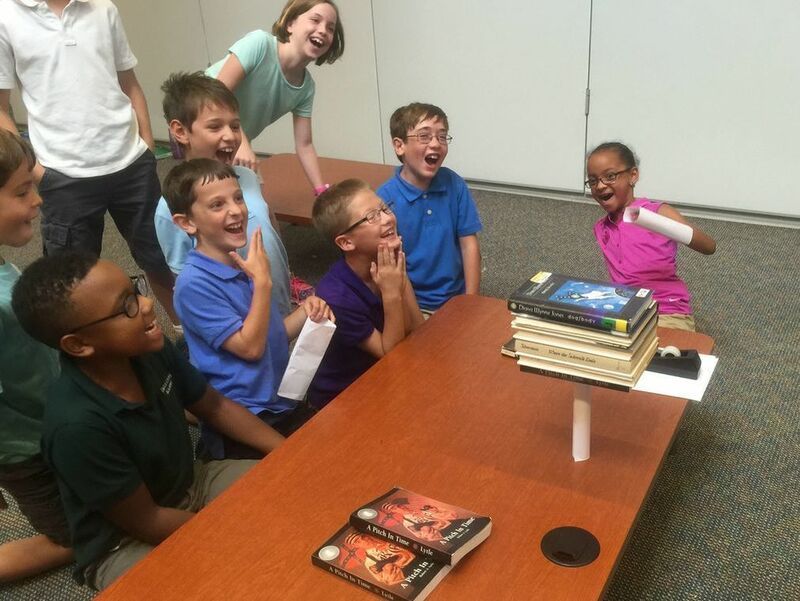 Later, they were working toward specific goals, such as "build something taller than you." These fifth grade teams needed to build products that met certain parameters. Each team built several prototypes to test their designs. Every day, we integrate technology & language arts. 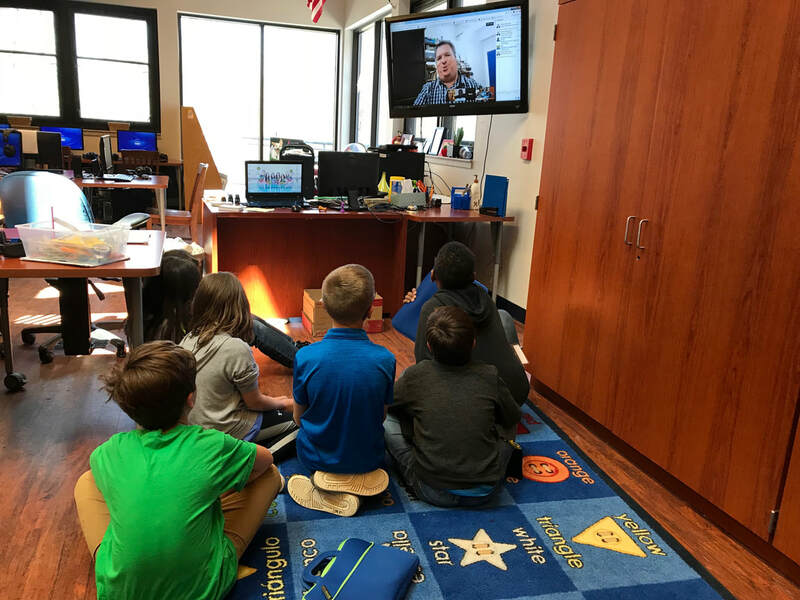 The fourth graders participated in a live, online interview with a National Geographic paleoanthropologist named Ella Al-Shamahi. She talked to us from London, while the host, Mr. Steve, joined us from South Africa. The students had to save Fred the worm from drowning by building him a raft. While the groups created their rafts, they made flowcharts of their progress, including the challenges they faced. Each small group wrote a story, then molded clay figures and had them act out the story. As the children placed each figure in its next position, they took its picture. They repeated this until they had a series of pictures, which they ran together to make a movie. One member of each team had to view a structure, then tell his team how to build it. The challenge was in using words only.